GOOD SOURCE OF FIBER - Contains 21g of total fat per serving. The nuts we put into this blend, almonds, peanuts and pistachios, provide a good source of 6 vitamins and minerals. So good, in fact, it’s recommended by Men’s Health, and that’s a good magazine. 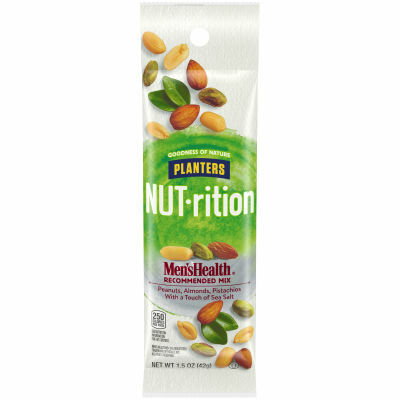 Each nut in this NUT-rition Men's Health Recommended Mix is also high in fiber which helps keep your digestive system healthy.